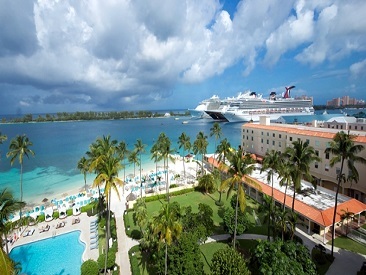 Nassau and Paradise Island are two of the most popular islands among the 700 Islands Of The Bahamas. Nassau, located on New Providence Island, is the official capital of the Commonwealth of the Bahamas and is bridged to popular Paradise Island. These islands have something for everyone: gambling in glamorous casinos; beachcombing, fishing and diving; golfing on beautifully manicured championship golf courses; concerts with musical headliners; and the fabulous island cuisine. Looking for more? Stroll down Bay Street, famous for its straw market, world-class shopping and horse-drawn carriages. You'll find some of the finest hotels in the Bahamas in Nassau, many with exciting casinos and Las-Vegas-style revues on-site. 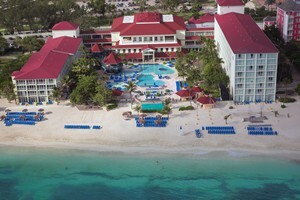 If an all-inclusive island vacation is your preference, you'll find a variety of Nassau hotels offering all-inclusive plans. 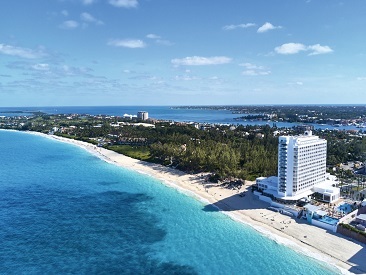 Nassau and Paradise Island, just a quick flight from the south Florida coast, have earned an unparalleled reputation as "high-energy" island destinations. Located on the only private beach in downtown Nassau, British Colonial Hilton Nassau offers a taste of the island’s rich history, along with some of the most modern amenities for both business and vacation travelers. 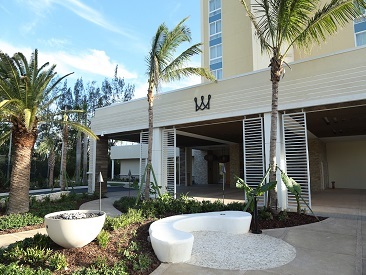 The resort is 25 minutes from the airport and a short drive from Nassau, capital of the Bahamas, offering visitors historical attractions, including forts and museums. With 288 rooms, European meal plan, a private beach, non-motorized water sports and a beautiful fresh water swimming pool, British Colonial Hilton Nassau is a touch of luxury within a historical hideaway, perfect for couples or a getaway with friends. Comfort Suites Paradise Island, a 3 diamond Choice Hotels property featuring 223 renovated junior suites, and located just steps away from the magnificent Atlantis Paradise Island Resort. 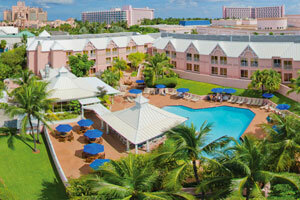 Guests at Comfort Suites have full access to the facilities at Atlantis as well as their own resort. 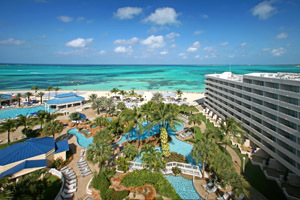 Meliá Nassau Beach All Inclusive is situated on a 1,000-foot stretch of white sand along the Atlantic Ocean on Nassau’s spectacular Cable Beach. Enjoy stunning views, comfortable accommodations, luxury amenities and globally inspired cuisine featuring a distinctive Bahamian flair.